Zahra Lari -Via Gulf News. Muslim women from Leicester have formed the Falcons team, an all-Muslim women Basketball team, since FIBA lifted its ban on hijabs last May. 22-year old Leena Begum, who works in London’s ‘super sewer,’ designed protective clothing for construction site workers who wear hijab. Begum hopes the ‘reflective hijab’ will help the construction industry become more inclusive. 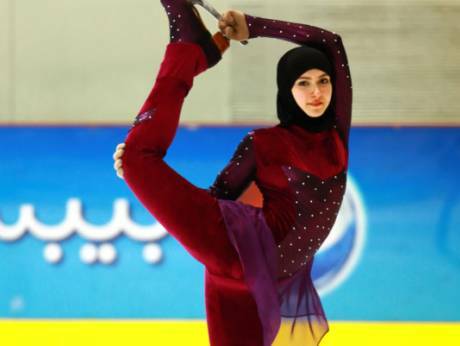 Zahra Lari speaks about her skating career, the challenges of being a hijabi in the skating world and what is next for her. 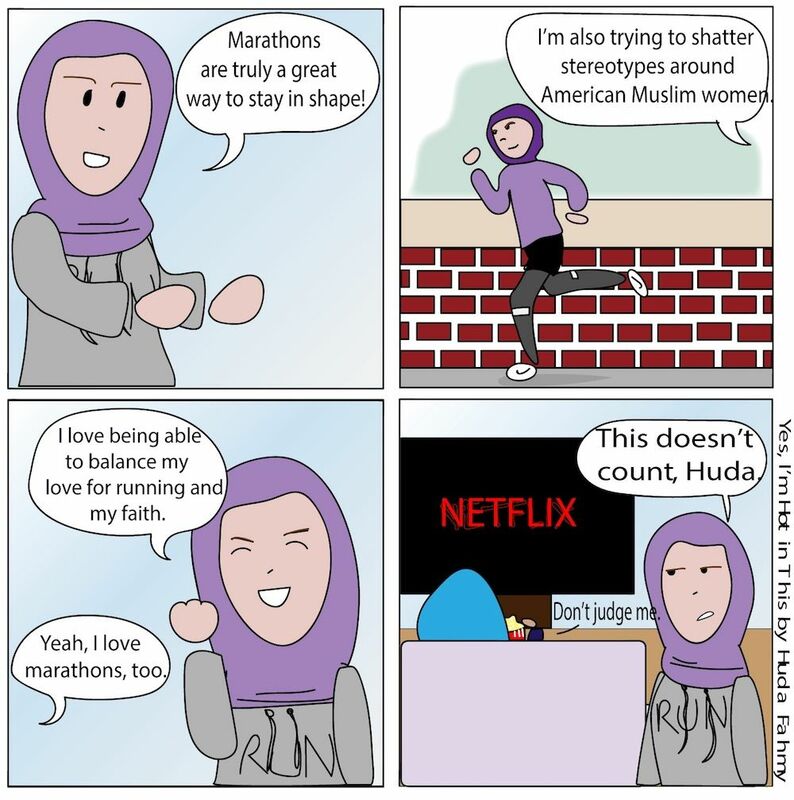 Huda Fahmy’s work- Via Women’s Running. Farrah-Marie Miranda, a Toronto-based artist, advocates for migrant workers’ rights through Speaking Fruit, her mobile art exhibit. The Tiger Hunter directed by Lena Khan, is getting good reviews. In this interview, Khan discusses her work (MMW’s Fatin also recommends the film!). Huda Fahmy shares her thoughts on drawing and writing comics as a Muslim woman in this interview. 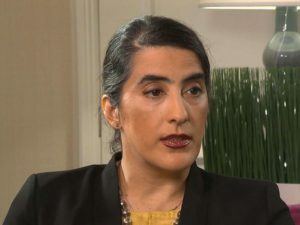 Dr. Anila Daulatzai via ABC News. Professor Anila Daulatzai was violently removed from a Southwest Flight after letting staff know about her allergies to dogs. Dr. Daulatzai has reported experiencing racial profiling by the airline, and a call to boycott the company is currently circulating. Human Rights advocates in Canada report that Muslim women are being attacked in Edmonton, after Abdulahi Sharif was arrested and accused of terrorism. Both Denmark and Austria are following other European countries and have banned niqabs. While the Austrian government says the law safeguards Austrian values and the concept of a free society, Denmark’s Liberal Party has framed the ban as a security issue. Approximately 150 women are said to be affected by the ban in Austria and about 200 in Denmark. How America has silently accepted the rage of white men by Naaz Modan.